It’s so hard to find a tasty healthy treat when those sugar cravings kick in. And oh so easy to reach for the junk food. Before you know it, you’ve eaten half a pack and have gorged on 500 calories or more of empty calories. You feel rotten and feel like you’ve let yourself down. We all get cravings and we don’t all have the will-power of a super model (I certainly don’t!). This is where a light healthy cookie comes in. With only 21 calories per cookie, you’ll find just one hits that sweet spot beautifully. And if you happen to eat 3 or 4…you won’t be breaking the calorie bank and feeling bad. These delicious cookies are naturally gluten free and exceptionally low fat. Store in an airtight container or keep a batch in the freezer for when the late-night munchies hit. Preheat the oven to 130°C/fan 110°C/250°F/Gas mark ½ and line two baking sheets (cookie sheets) with greaseproof (waxed) paper. In a small bowl, mix the cocoa and caster (superfine) sugar together. Put the egg whites into a large, clean, dry bowl and, using an electric mixer, whisk the egg whites until foamy. While whisking, add the salt, cream of tartar and vanilla extract, then add the cocoa and sugar mixture 1 tablespoon at a time. Whisk the mixture until it forms stiff peaks. Drop tablespoonfuls of the mixture onto the prepared baking sheets. Put the 1 teaspoon cocoa and the cinnamon into a small sieve (strainer) and dust the biscuits with the mixture. Bake in the oven for 1½ hours, then turn off the oven and leave the biscuits (cookies) to cool in the oven with the door slightly ajar for another 2 hours. When the biscuits are cold, remove them from the oven and store in an airtight container. If you do not wish (or cannot) use white sugar, you can substitute it with a healthier alternative - like coconut sugar, stevia, dark Muscovado sugar, et, as long as its powdered. You can grind it in a coffee grinder to reach the desired consistency! This recipe is developed by the lovely Jacqueline Whitehart. Jacqueline Whitehart is a best-selling writer of health and diet books. Jacqueline’s book, The 5:2 Diet Cookbook (aff link), was a publishing sensation and the biggest selling self-published book of the year on Amazon.co.uk. Jacqueline sold over 100,000 copies of the book and now publishes books through HarperCollins as well as running her own publishing imprint. See you next time for more healthy recipes and articles! 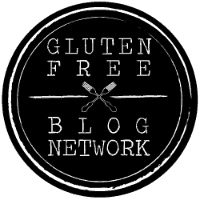 This entry was posted in Wellbeing of the Body and tagged desserts, gluten intolerance, gluten sensitivity, gluten-free, healthy recipes. Bookmark the permalink.